Web of Science: What changes in education can we expect in the next few years or decades and what effect might these changes have on teaching and learning? Education as an activity occurs at several levels. Educational policy makers at national level make decisions about the themes and content of what is to be learnt. At local level decisions are made about the way in which resources are allocated to schools and the education and skills of teachers to be employed by those schools. Principals and other leaders in schools make decisions about the timetable and the choice of materials to be used and the way in which teachers should carry out their work. In the classroom, teachers make decisions about topics, activities and assessment, and sometimes learners and their parents are involved in these decisions. The learners themselves can influence what goes on in classrooms through their own interests and abilities, which can be affected by their family life and their friends. All of the above take place in a society affected by globalization which needs to manage a modern economy, ensure a well-educated population and provide services for its citizens. Many have spoken of the rapid rate of change in modern society, the role of technology in schools, the Information Age or education in the 21st century. What changes in education can we expect in the next few years or decades and what effect might these changes have on teaching and learning? First of all, there will be more learners in both schools and universities. More demands will be for further education and lifelong learning and the range of ability and interests will be broader. The learners will want flexibility in their opportunities for study, they will easily make use of information technology, they will make demands on their teachers and their educational opportunities. Increasingly parents will make demands on behalf of their children. These learners will enter an economy which will demand skills as well as knowledge and a multicultural society influenced by globalization and a market agenda. Particular skills which have already been identified include the innovative use of ICT (Information and Communication Technology) and the ability to work in teams. 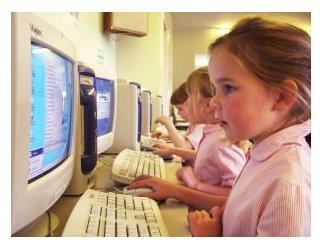 Schools will lay great emphasis on information technology. Research on learning theories over the last 20-30 years has brought forth a wealth of new information about the importance of the social, cultural and historical context of learning, about intelligence and about the way in which the brain processes information. These new emphases on learning are coupled with increased attention being paid to individual needs in learning and student motivation. New learners and new theories of learning will make demands on the way school buildings are used or modified. We could expect new schools to retain some traditional classroom areas but we can also expect to see open spaces, work-stations, frontline technology and multiage groups of learners. School systems will be affected. There should be more coordination between schools when or if learners make a transition, requiring good information and evaluation systems which track individual learners. Assessment practices should change from knowledge-based to skills-based approaches and could include measures of self-assessment. The preparation or revision of the national curriculum, provision for debate about the goals of education and support for development work to inform new practices will all play a crucial role in whether or not new visions in learning and education will be achieved. All of the above changes will make demands on teachers, teacher education and continuing education. A wide range of knowledge and skills will be required of teachers, some of which they have already. They will need to be able to work in teams on cross-curricular issues using a wide range of media. Educational leadership particularly in the development of a vision will need to be distributed across institutions, with teacher leaders playing an important role in motivating other teachers. The development of schools as organizations will become important. The results of learning research, new policies and the existence of new technologies do not necessarily mean that teachers and schools will change. Research on change indicates that teachers will not readily alter existing practices for new practices if the innovations do not accord with their beliefs and experiences about what works in the classroom. What works now in schools and what has worked for 100 years or more is a subject-based timetabled curriculum where teachers are knowledgeable about the subject, most teach whole classes and can keep control of what is being learnt. A skills-based approach with an emphasis on individual needs calls for a different curriculum, for different methods of teaching and new styles of educational leadership. The power structure within schools and the negotiation of what is to be taught will change the way teachers work and develop. Finally, we return to the learners. Technology and new teaching practices will have to find ways of motivating learners and encouraging the development of self-efficacy. The students of tomorrow will live in a world of conflicting expectations, of a changing economy, where work and leisure, family and society, might take on different meanings. The critical task for education will be to build individuals who trust themselves, are capable individuals, respect others and can make a contribution to society. 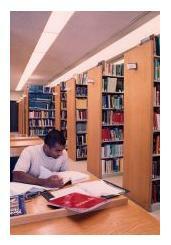 The picture taken in a library is taken from Logoweb. UMDNJ. The picture of girls working on their computers is taken from Virtual tour. Walthamstow Hall. The picture of teacher and pupil is taken from Purdue news. Purdue University. Allyson Macdonald. „What changes in education can we expect in the next few years or decades and what effect might these changes have on teaching and learning?“. The Icelandic Web of Science 6.2.2006. http://why.is/svar.php?id=5620. (Skoðað 21.4.2019).